BROOKLYN, NEW YORK -- AUGUST 13, 2018 -- VGJ is happy to announce our latest sponsor for The International 8, Plair. Plair is a blockchain-backed platform to play, watch, and talk about gaming. The platform aims to give users the tools they want cross game and ability to find true community, competition, and value creation through decentralized means. Both VGJ.Storm and VGJ.Thunder will be sporting Plair on their jerseys, in-game banners and on social media. For more information on Plair, please visit their website at plair.life. We're thrilled to have Plair on board, and we hope to see everyone at The International very soon. BROOKLYN, NEW YORK -- August 12, 2018 -- VGJ.Storm is delighted to announce a partnership with Yabo Sports. The deal will run until the end of The International 8, and will be featured on our jerseys, in-game banners and as a name extension for all of Storm's players. This deal strengthens our growing connection between Asia and North America, and we're excited to have Yabo Sports on board with us for the next month. Keep an eye out for our updated TI8 jerseys in the next few days here! We’re happy to have Merit on board for both VGJ.Storm and VGJ.Thunder’s ride through The International 8. You can check out more from their website, merit.me. Be on the lookout for more content from VGJ leading up to TI, and thanks for your support! VGJ.Storm and the NYC flagship Microsoft Store are excited to bring New York Dota fans a community event on August 7th from 5-8pm ET. A meet & greet, signing session and an online showmatch versus OpTic Gaming at the state-of-the-art eSports and Gaming Studio are all on the agenda as we ramp up preparations for The International 8. It will be a great opportunity for us to meet up with our local fans before the team heads to Vancouver. The event will start at 5pm ET on the second floor of the flagship Microsoft Store on Fifth Avenue. After about an hour of an open meet and greet, the team will head up to the eSports and Gaming Studio for the showmatch against OpTic. The first 15 fans will get to see the action live on Floor 5, and the match will also be streamed on the 2nd floor of the Store. For those that aren’t able to attend in person that day, we’ll be streaming the game live on our Twitch channel, twitch.tv/teamvgj. Where: Microsoft Store Flagship on Fifth Avenue, Second Floor. For those that aren’t able to attend, you can tune in at twitch.tv/teamvgj to watch the stream at 6pm ET with @GranDGranT casting. RSVP for the community event here for a chance to win VGJ swag before the match! See you all on August 7th! 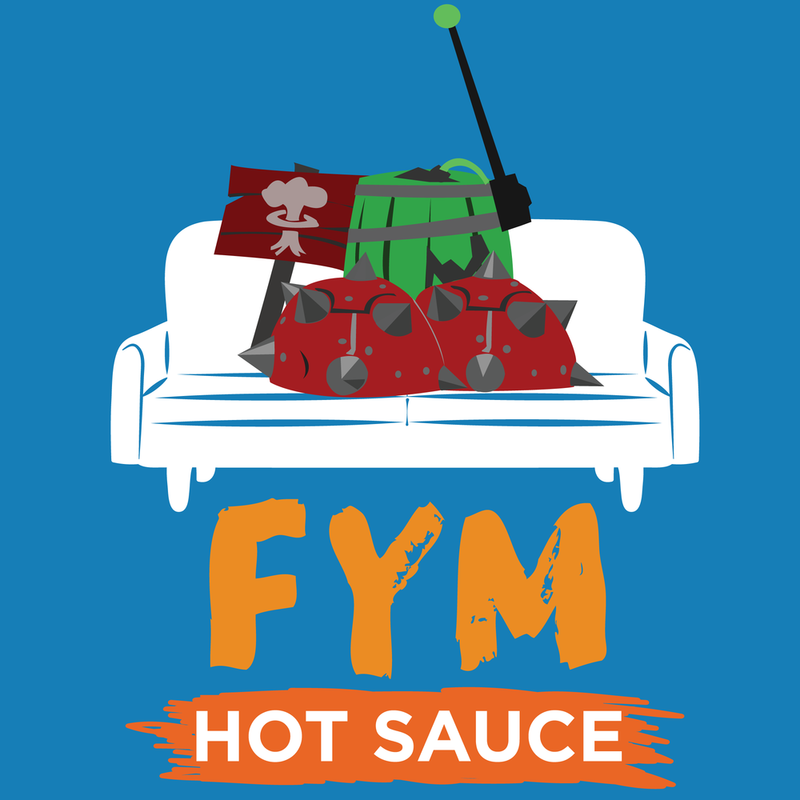 VGJ.Storm is excited to announce a sponsorship by FYM Hot Sauce, a Hot Sauce company based in Portland, Oregon. FYM Hot Sauce was started in 2012 and has always been pushing the envelope as far as how to conduct business. Beginning from a Kickstarter campaign, FYM has since sponsored multiple Dota 2 teams, regularly incorporates customer feedback into their sauces, and is a strong advocate for cryptocurrency adoption.